Author: the Southeastern Registrars Committee. This is a comprehensive book covering emergency preparedness and response for every conceivable type and scale of disaster on historic and non-historic materials. 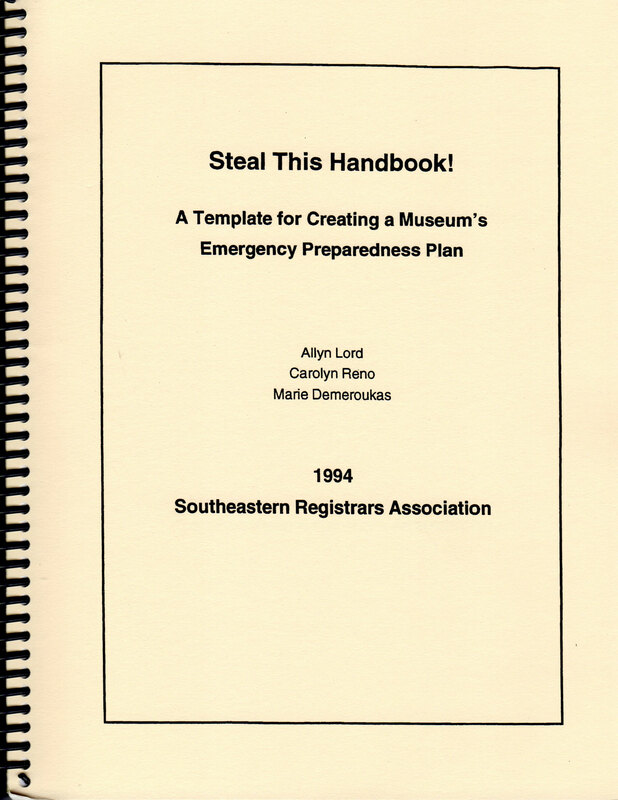 Written by the Southeastern Registrars Committee of the American Association of Museums, we purchase it before it is bound and have it punched to fit in a three ring binder. Adding dividers, it becomes an instant addition to an institutional emergency response plan. Response professionals can add useful articles to the enormous amount of recovery information already provided in the book.